Good thing Syl isn't the type of queen who gives up easily. 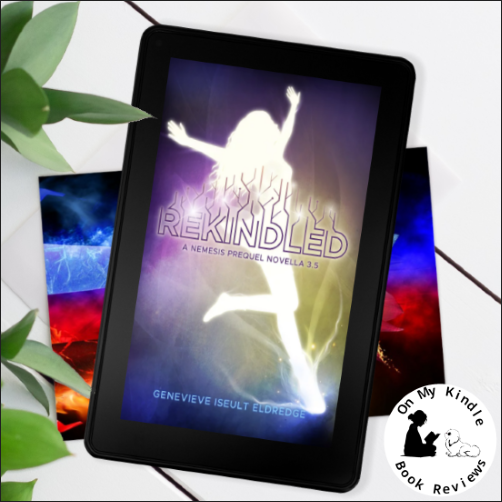 Rekindled picks up where Inimical left off. This means that Rouen doesn't remember that she's Fae, Queen of the Dark Fae, or her relationship with Syl. She thinks she's a rockstar on tour who is having a nervous breakdown or something because she's been having strange dreams and feels drawn to a red-headed fan who has been stalking her. What she doesn't realize is the red-head who is stalking her is Syl, the Queen of the Light Fae and her girlfriend. 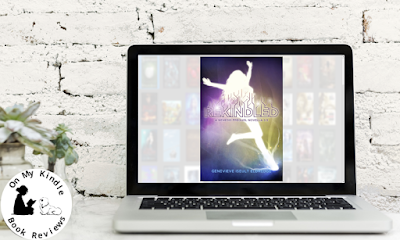 Syl is desperately trying to find a loophole to prevent Rouen's memory loss from becoming permanent; however, the once pesky pocket puca, Miss Jardin, is revealing her true power and a grand scheme to control the Dark Fae. A grand scheme that threatens the balance between light and dark as well as Syl's Glamma and thousands of mortals. The witty banter and heart-melting moments are still present, but there is a sense of urgency and underlying gravity in this plot as the two heroines are under pressure to avert disaster. Don't get me wrong, readers will still see glimpses of levity that only Eldredge can execute; however, I think the darker moments in the plot add more depth to the characters and highlight Eldredge's intuitive ability to balance seriousness with levity. I've been curious about Syl's Glamma since the first book, even more so since the majority of the chapters are prefaced with wisdom imparted by Glamma. 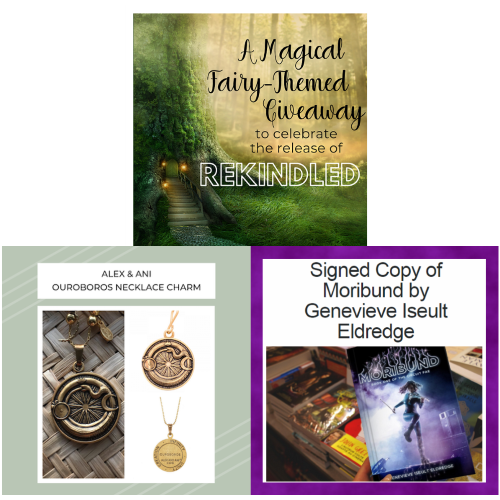 I was happy that she made her presence known in this book, and I am excited to see what Eldredge has in store for her in the next book. The Dark Fae youngsters make an appearance to help Syl on her quest to restore Rouen's memory and save the day, even though their assistance is punctuated by bouts of chaos and hilarity. I expect some readers will be disappointed with the ending; however, I wasn't. 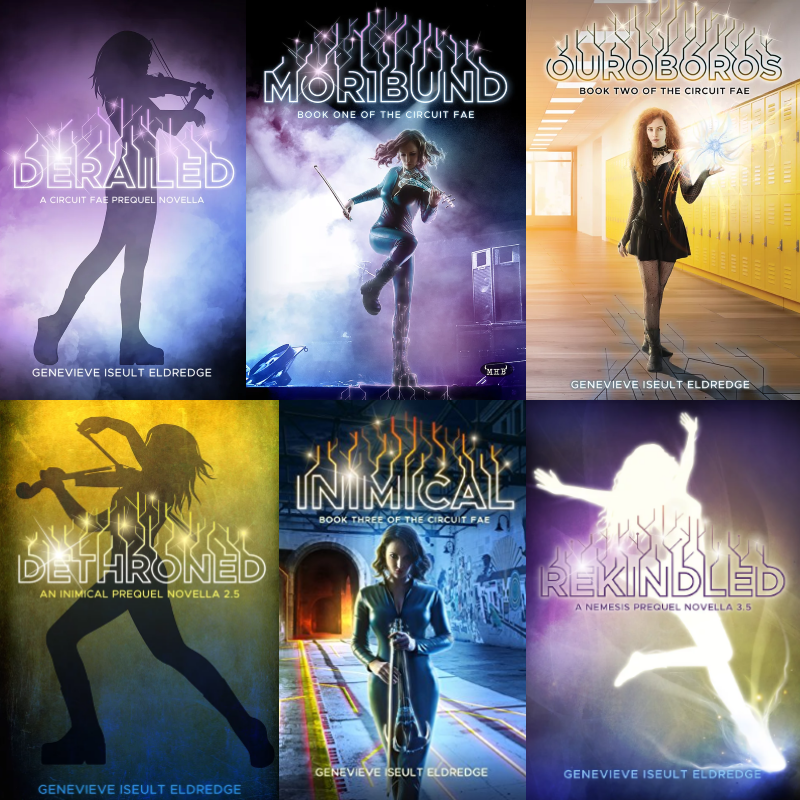 Again, I think it demonstrates Eldredge's ability to convey a sense of gravity and it appeals to my cynical side that believes endings aren't always tied off in a neat, glittery, and happy bow. If you haven't started the series yet, don't start with this book because you'll be lost. 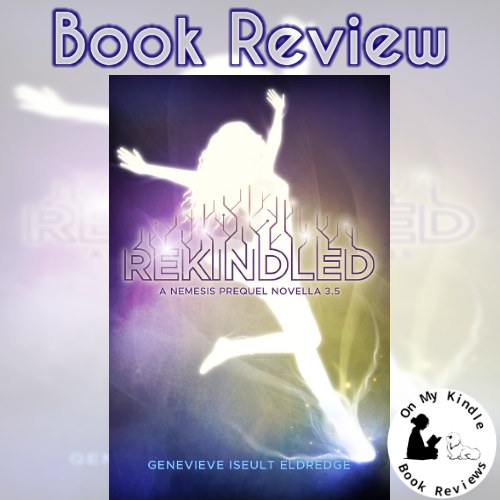 If you've been following the series, I think reading Rekindled will make the next book, Nemesis, even more enjoyable. Find the entire Circuit Fae series online! 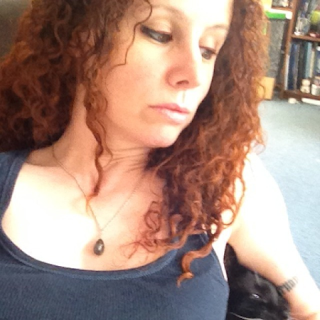 Genevieve Iseult Eldredge, author. Photo courtesy of Goodreads.